Justin Bieber's tweet - "Amazing show @ArianaGrande . Super proud of you. 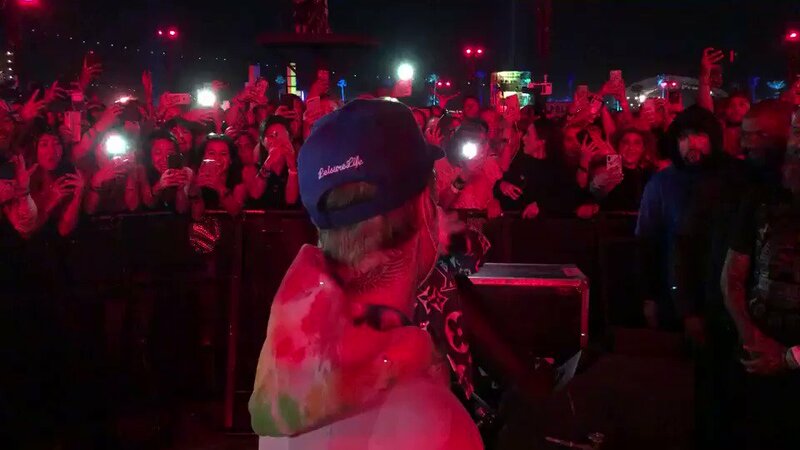 Had a moment mid show :) @billieeilish "
This boy really only went to #Coachella to support Ariana and Billie. A SUPPORTIVE KING. @billieeilish so happy for u! I’d do just about anything to hug Justin Bieber like that. You either hug me like this or not at all. So when y’all releasing a song together? Esta mujer está ABRAZANDO a Justin Bieber mientras está escuchando EN VIVO a Ariana Grande... Alguien ya le dijo que ganó todo en la vida??? it’s amazing to see love within the industry like this, happy to one day be with these people helping and spreading love to so many people in the crowds!! imagine seeing your idol in an event and ariana grande is the background singer. DOUBLE KILL!!!!! why dont you create new music and make collab with billie?